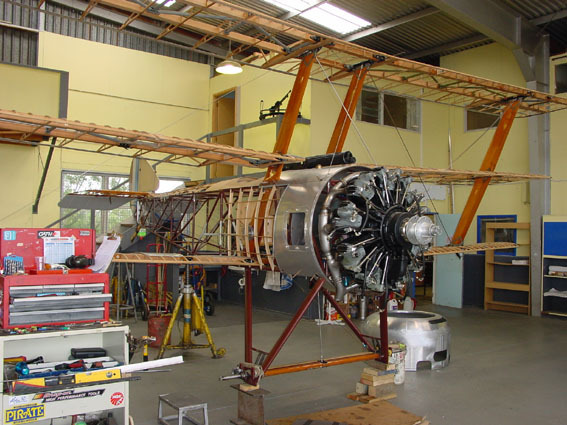 The Vintage Aviator Ltd not only builds aircraft from scratch but is also equipped to complete almost any project. 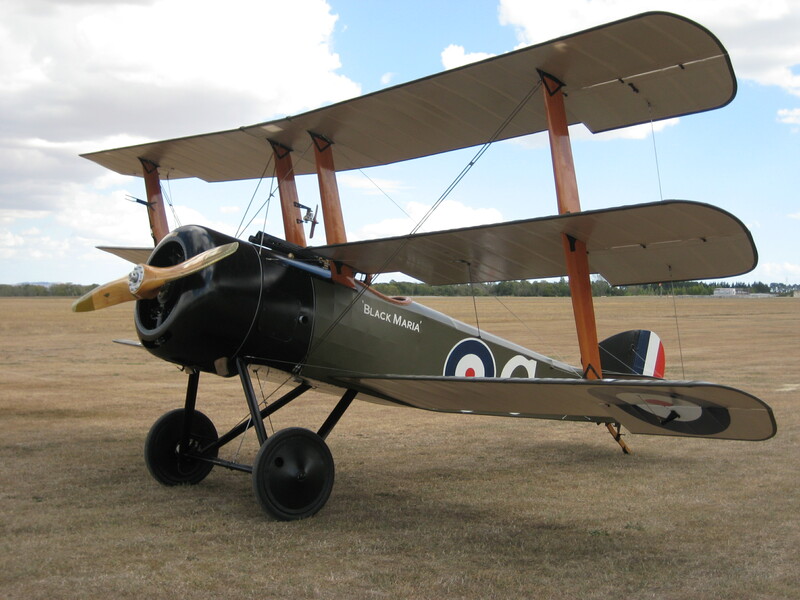 The Sopwith Triplane was one such project, started several years ago by Chad Wille of Corning, Iowa. The 14-18 Aviation Trust purchased the partially complete aircraft and shipped it to New Zealand. Once here The Vintage Aviator was contracted to build wings, finish the landing gear, install the engine and basically complete the aircraft. Chad worked from original drawings, retaining original dimensions but substituting modern simplified construction techniques. Some of the modifications included a steel tube fuselage, modern engine, and simplified wing construction. 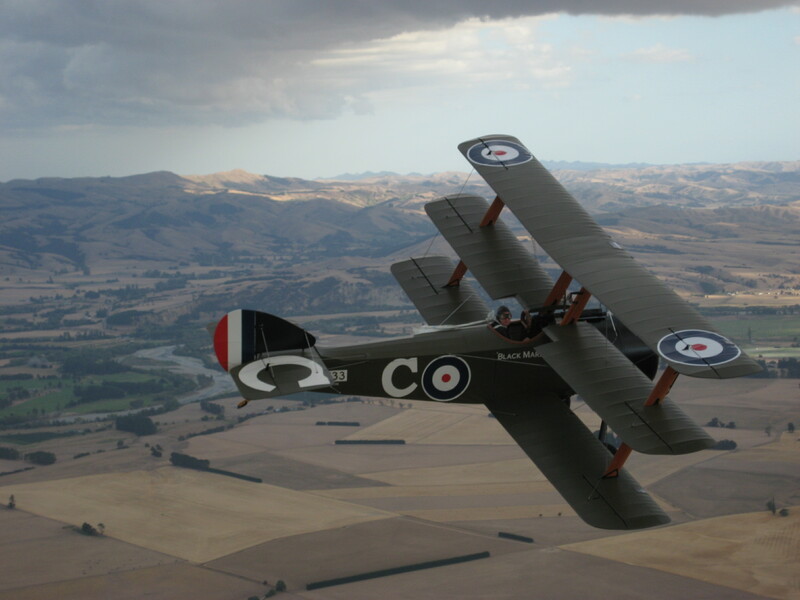 Chad has built several Sopwith triplanes and while building his first example, a 14 year endeavor, he had the opportunity to meet Canadian ace Mel Alexander. Mr. Alexander signed a poster depicting one of his famous victories over an Albatros DVa. The fuselage and tail group were basically complete with the exception of fuselage formers, cowling and control system, these items and new fuel and oil tanks were fabricated by TVAL engineers and fitted. Landing gear was installed and the large single-piece cabane struts that extend from lower longeron to top wing were installed. 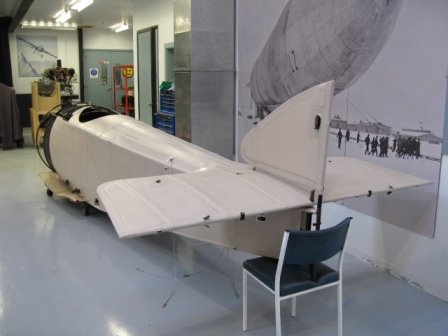 Wings were completed at our Wellington workshop and shipped to Hood aerodrome in Masterton to be fitted to the rest of the airplane. 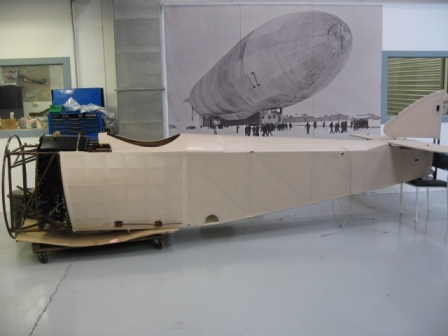 Once the wings were in place the remaining metal fittings could be fabricated and the aircraft could be rigged. 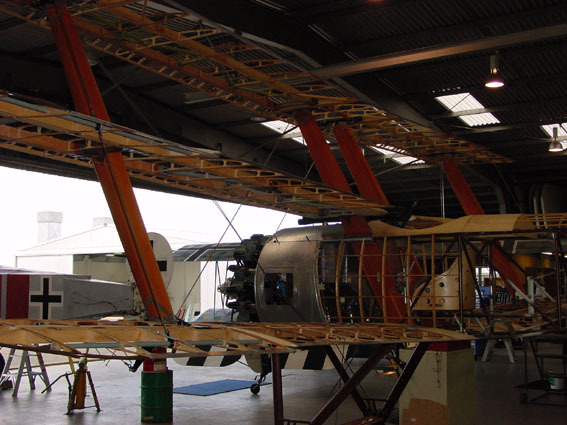 After the uncovered airplane was rigged, fittings drilled, flying and landing wires fitted and all control cables installed and checked for proper travel the airplane could be disassembled and individual components covered with fabric. While the covering process was underway the engine was fitted and all plumbing installed. In order to preserve the look of early British aircraft, Irish linen was selected as the covering material. By using linen we could maintain the clear "doped" undersides of the original color scheme and add some authenticity to this replica machine. 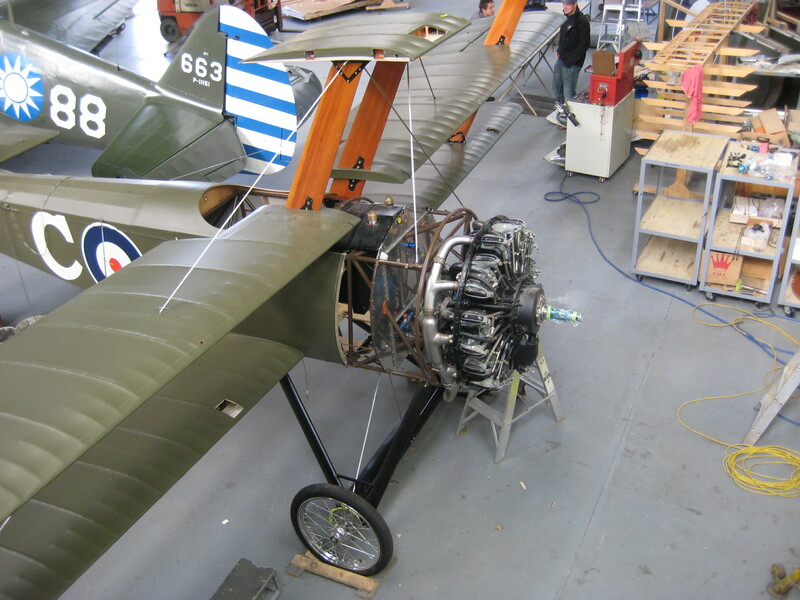 Kris Whelen handled much of the project for the Vintage Aviator and quickly became familiar with all of the design features of this Sopwith aircraft, like the adjustable tailplane operated by a large wheel on the right side of the fuselage, six ailerons and many streamlined wires! Attention to detail is key even with our replica aircraft, so details like a replica Rotherham pump were added to the cabane strut, smooth Palmer style tires were fitted, fuselage lacing and authentic style covering details incorporated and an original paint scheme applied. One of the most difficult features to duplicate on these early fighters are the guns, for this aircraft we installed one of our own replica guns. 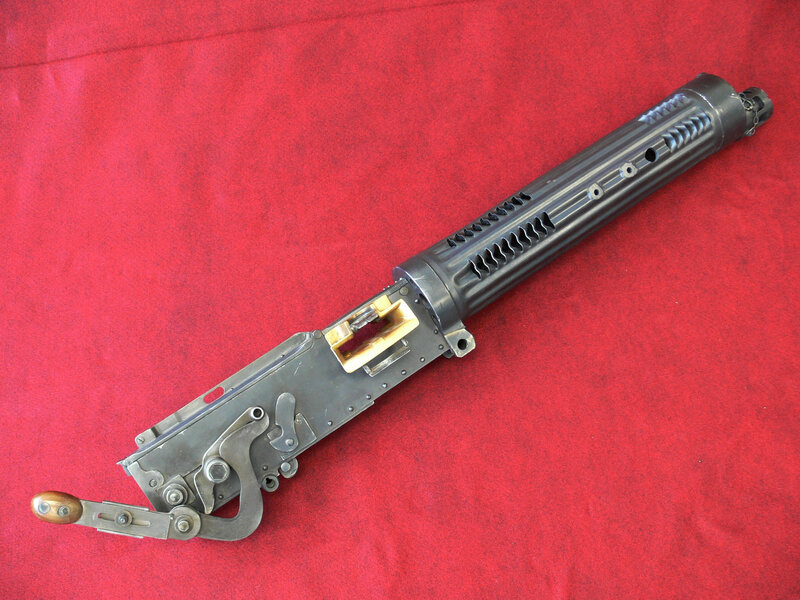 The Vickers gun is a prominent feature on the Sopwith Triplane as it reaches into the cockpit and serves as the mount for the unique padded windscreen. 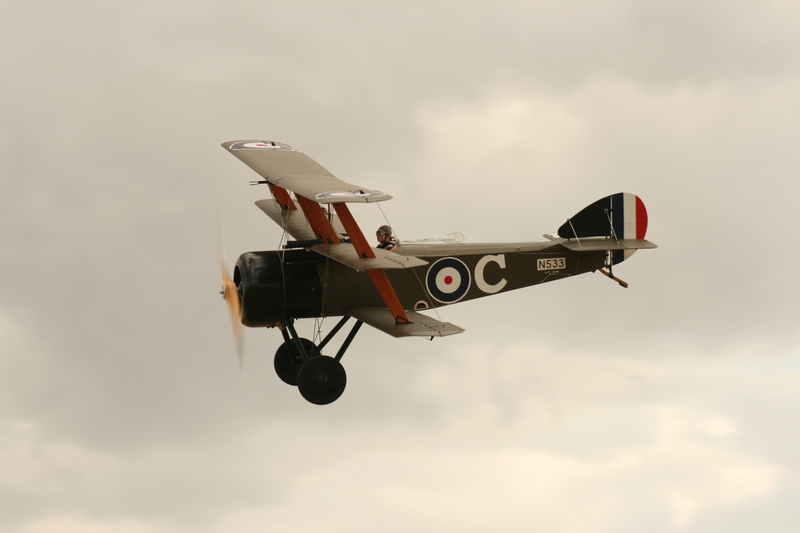 This aircraft was finished in a Royal Naval Air Service color scheme depicting the aircraft flown by Raymond Collishaw, 10 Squadron (N533) .